This week’s A-Z Archive Challenge is the letter M, and that worked out perfectly for me to use an image I shot while visiting the Magnolia Plantation & Gardens. Unfortunately, with unseasonably cool weather and no cloud cover, the photography opportunities during my Spring Break trip to Charleston, South Carolina weren’t quite as rich or varied as I’d hoped. My mother, an established oil painter in Charleston, joined me on this photographic adventure, and we arrived shortly after the 8 a.m. opening to work the morning light with our cameras. The lovely light didn’t last long, however, but we enjoyed our stroll through the gardens and along the waterfront path where we saw a variety of birds, including herons, osprey, teal, ducks and anhinga. We also visited the Audubon Swamp, where there were still some Great Egrets hanging out in the rookery. Even though I didn’t get the images I’d hoped for, it was a great morning spent with my mom doing what we both love: walking, talking, creating and enjoying nature. What a stunning place to visit. You’ve captured the perfect light. Great pic! It brings back memories of my own trip to Charleston and Folly Beach in 2007. 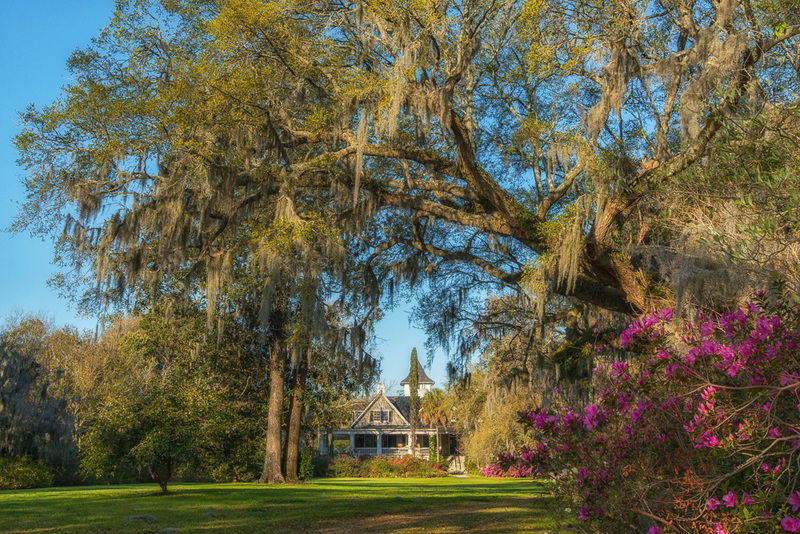 The Magnolia Plantation was one of the highlights of my trip. It was steaming hot when I was there (September) and I was lucky enough to get pics of a few alligators sunning themselves in the swamp. Hopefully I’ll get the chance to go there again someday.